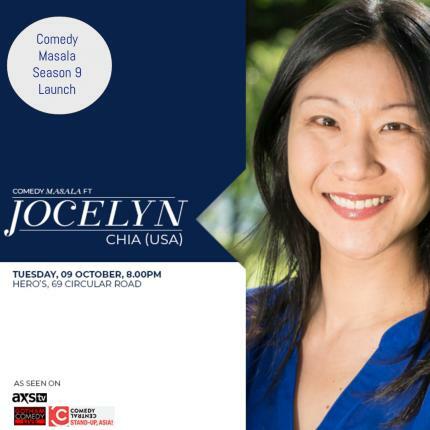 Comedy Masala will launch its NINTH year with a show featuring the very funny, and highly in-demand comedian, Jocelyn Chia! Jocelyn is a multiple competition winner, and recently made her debut on Comedy Central. She's been a guest comedian on Sirius XM, a guest host on MTV, and is the winner of the 2016 Ladies of Laughter Competition. In 2017, she made her standup TV debut for AXS TV’s Gotham Comedy Live, hosted by William Shatner, and received the "Rising Star - Comedy" award at the Asian American TV & Film Festival.